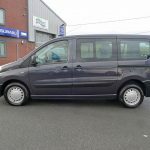 A 4 seater Expert in grey with a lovely long carpeted wheelchair/scooter location so if it’s room you require then this is the vehicle for you. 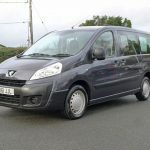 This WAV has a 2 litre diesel engine with manual gearbox. 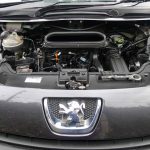 You will find a full list of features in the specification section on this webpage. 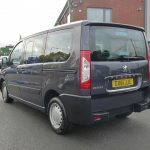 A larger sized wheelchair accessible vehicle with excellent all round visibility. 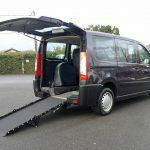 The converter is Constables and the vehicle adapted with a lowered floor and a 2 piece ramp allowing easy access into the wheelchair location. 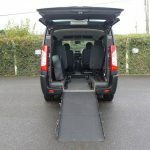 The inertia belts attach to the front of the wheelchair and have a no roll back function so that pushing a wheelchair into the vehicle is made safer. 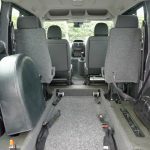 Once on board, the rear wheelchair restraints are attached to the back of the wheelchair and tightened and together the 4 point restraints ensure that the wheelchair is tightly secured in the vehicle. 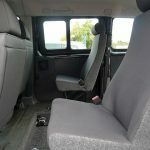 The safety belts are then clicked around the wheelchair user and the process is complete. 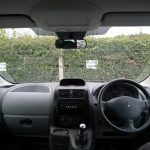 If you would like to view this in action then please click on the ‘Advice’ section above where you will find a demonstration video on a similar vehicle. 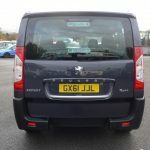 This vehicle also has air conditioning – great to have on those warmer days or longer journeys. 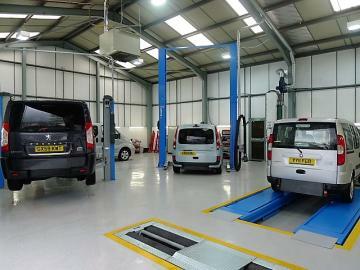 All of our wheelchair accessible vehicles come with 12 months MOT, 12 months warranty and are serviced and valeted in our very own state-of-the-art Service Department (see inset) before being delivered free of charge (mainland UK addresses only). 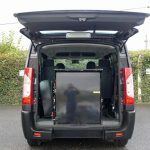 If you would like to know more about this vehicle or need any guidance or advice, then please call us on 01824 707773 and speak to one of our experts.